UPCOMING TRIP: Email for dates, limited spaces. Book now! Type of Adventure: High Andean adventure, off the beaten track with lots of local colour and culture. Beginner to extreme trekking and horse riding. 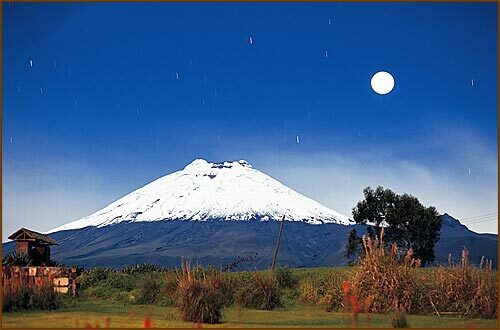 A must-see area of Ecuador. Physical rating: 3-6 Always above 3000m. Extreme trekking to sedate sight-seeing. Adventure rating: 6-8 Off the main tourist trail on dirt roads. Adventure Highlights: High Andean culture. Amazing views of Laguna Quilotoa. Horse riding in the fresh Andean air. Note: ratings are on a scale of 1-10 with 1 being the lowest. This is an all inclusive 3-day trip which includes a bilingual guide, transport, accommodation, all meals and guided trekking. The crater lake of Laguna Quilotoa is nestled 3,800m high in an active Andean volcano. Located about 100km south of Quito, the ‘Laguna,’ or lake, sparkles a beautiful emerald colour due to high mineral content in the icy water. The surrounding area offers stunning vistas with high mountain peaks and rugged Andean landscapes. 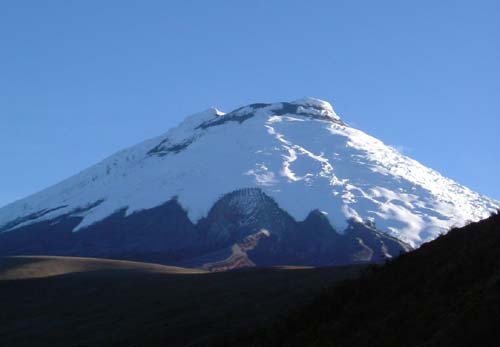 Here, you''ll find some of the best trekking and horseback riding in Ecuador. The remoteness of Laguna Quilotoa transports you back in time through unforgettable indigenous Andean villages along rustic dirt roads. This is one adventure in Ecuador you do not want to miss. 8:00 - Leave from Quito. 8:00 - 10:30 - Drive through the world famous Avenue of the Volcanoes for great photo opportunities and spectacular views. Shift into expedition mode for the dirt roads of the Quilotoa Loop. Enjoy the mind altering scenery as we traverse through lost Andean villages forgotten by time. 12:30 - Along the way, we''ll stop for a traditional Andean lunch. Late afternoon - Arrive at our cozy high-Andean lodge where you can enjoy guided treks featuring stunning views, deep ravines and snowcapped Andean peaks. 19.00 - Dinner at the lodge. Afterwards, curl up by the fire with a good book or challenge your travel mates to a game of chess. 8:00 - Depart the lodge for a short, adventurous drive down the bumpy dirt roads to the rim of the Laguna Quilotoa crater. 9:30 - 12:30 - Explore Laguna Quilotoa. The initial views of this amazing volcano will take your breath away. From the car park, enjoy an easy but exhilarating trek down to Quilotoa lake where you can hire a kayak for only $1.50/hour or lounge on the water''s edge, soaking in the sun. 12:30 - Embark on the journey back up to the crater''s edge. Mules are available to ride for a small fee. 13:30 - Dine on the crater''s rim in a typical Andean restaurant for lunch. 16:00- Arrive back at the lodge for a beer, relaxation, and then a leisurely stroll around the local village. 19:00 - Dinner and socialising. 8:00AM - 12:30 - Spend the morning relaxing and taking in the high Andean atmosphere. For those interested in exploring the countryside, mountain biking and horseback riding are available. For the die-hard athletes, a morning run at this altitude will certainly give you a productive workout. 13:30 - 19:00 - Continue our Quilotoa Loop adventure along one of the most scenic roads in Ecuador, stopping as frequently as you want, to soak in the sun and take photos guaranteed to impress your friends back home. 19:00 - Arrive back in Quito after three days of high Andean adventure. Q. How difficult is the Trekking? A. The area around Chugchilan and Quilotoa is set high (3800m) in the beautiful Andes. 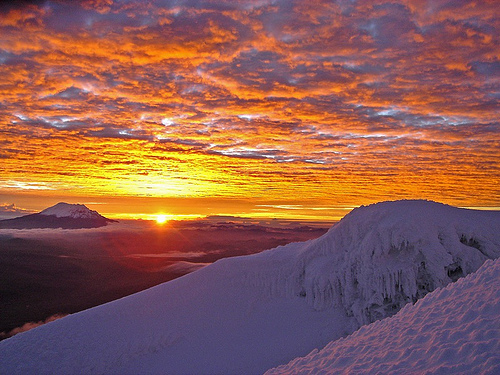 You will need to have a basic level of fitness but are not expected to be an extreme climber or mountaineer. The longest walk will be around 4hrs and at a slow pace. If you feel the need it is possible to hire mules to either take your day bag or even you! It all adds to the adventure! Q. What vehicle will we travel in? A. We will be travelling in a fully expedition equipped 4x4. The 4x4 is both safe and comfortable and at the same time strong and has legendary off road capabilities. On board we carry a first aid kit, fire extinguisher, maps & tools. The vehicle will be driven by fully licensed driver with many years of experience driving expeditions throughout Latin America. Transport in a safe and comfortable 4x4, with plenty of space for you and your bags; no more than 7 people. Lunch, breakfast and dinner in local Andean restaurants while on the trip. Hire of a mule for the trek back up from the lake (~$4). Horseback riding (~$15 for 3-4 hours). Warm hat and gloves (if you have them - or you can buy them for few dollars). Day pack and larger over night pack. Clothes for day trekking prepare for chilly nights and warm days. Change of clothes for the evening. Still not sure yet - Photos? Want a fully inclusive itinerary?